Solivita, FL: Visit for golf, dining, cruising and more. > Solivita, Poinciana FL presents a special “Solivita Discovery Days” package allowing visitors to experience and learn about the community’s rewarding 55-plus lifestyle. The package includes two nights’ lodging in a furnished guest home and three days of activities, including complimentary lunch and dinner. Cruise around in a personal golf cart, use all recreational facilities and take the opportunity to meet current residents and speak with members of the sales staff. Cost is just $149 plus tax for two guests, with full rebate if you purchase property. Send me more information about Solivita! Toll Bros: Lock in rates, purchase your dream home. > Toll Brothers invites you to lock a low rate through your closing date. With a variety of financing options available for a limited time, you can purchase your Toll Brothers home now and keep your rate through closing. Special interest rate programs are available through December 31, 2018. Toll Brothers communities on GolfCourseHome include Brier Creek Country Club NC, Dominion Valley Country Club VA, Hasentree NC, Jupiter Country Club FL, and Parkland Golf & Country Club FL. 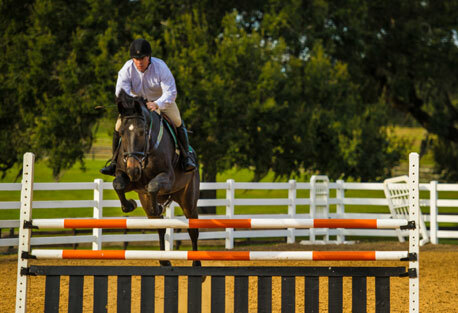 Golden Ocala, FL: Equestrian center just got even better. > Golden Ocala Golf & Equestrian Club, Ocala FL recently made extensive renovations to the outdoor Riding Ring at its Equestrian Center. A company that specializes in this work upgraded the drainage system, replaced the fencing and installed a special geotextile riding surface at the outdoor oval, which measures 140 by 240 feet. The synthetic sub-surface improves the sand’s functionality and supports a horse’s footing as well as enhancing shock absorption, for protection of leg and ankle joints. Send me more information about Golden Ocala! Heritage Shores, DE: Holidays sparkle like the water. > Heritage Shores Bridgeville DE invites the public for some seasonal festivities plus a chance to experience the community’s highly appealing 55-plus lifestyle. It’s the annual Heritage Shores Holiday Bazaar, happening Dec. 8 and 9 from 11 a.m. to 4 p.m. in the Sugar Beet Market. Get in the spirit of the season by making festive wreaths, learning new holiday recipes and picking up original decorating ideas. Meanwhile you can browse the Village of Vendors and tour model homes as you see and learn about community amenities. Send me more information about Heritage Shores!